Last time around we looked at people who did the wrong thing when they were losing money. The right thing to do is of course, to Cut Your Losses. Today’s chapter is about the people who do the right thing when they are losing. I’ll be interested to see if they do much beyond Cut Their Losses. I suppose the alternative will be to double down – which as we know is a Bad Thing. First up is the section on Assassins. Rule No. 1 – Never lose money. Rule No.2 ­- Never forget rule No.1. The Assassins stick to this rule, cutting losing positions without emotion. More generally, Assassins follow their system and ignore their feelings. And they build their system before a crisis – before even investing – while they are still in a “cold” emotional state. The table is asymmetric – when you lose 50%, you need to make 100% to get back where you started. 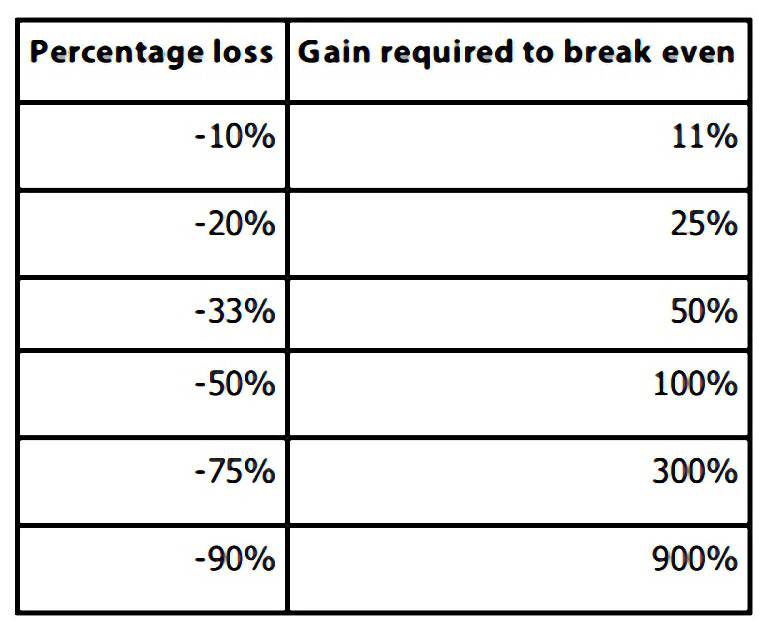 Winning is about ensuring the upside return potential is significantly greater than the downside potential loss. We’ve said previously that you should Use A Stop Loss. Lee’s version is that Assassins kill all losers at between 20% and 33%. I prefer 15% to 20%, but each to their own. Some people use 10% stops successfully. Traders use stop-losses, but lots of investors don’t like them. I think this is because they want the credit for their (possibly imagined) success. Somehow, building a system of rules that is successful doesn’t count for them. Lee points out that only 11% of winning stocks in his dataset made more than 50% in gains (what you need to recover from a 33% loss). Only 1% made 100% (the recovery from a 50% loss). Of course, many stocks go up hundreds or thousands of per cent, but few investors stay on board for the duration. You need to Let Your Winners Run as well. Lee notes that 59% of sold losing investments in his dataset went on to improve, while only 41% continued to go down. Of the “recovery stocks”, 37% made back less than 20%, which would probably not be enough to recover your initial losses. So the way Lee looks at it is that 63% of all losing holdings never made it back to breakeven. Two-thirds of the time you are likely to be better off cutting a losing position. But it’s not that simple – it depends on the counterfactual (what alternatives are available). Stocks go up on the whole, and it’s no great shock that even losing stocks mostly go up afterwards. The point is how quickly, and whether you have better places to put your money. The alternative to a stop loss is to sell after a given period (if the stock is not in positive territory). Lee calls this the “time is money” rule. The reason you don’t want to be in losers for too long is the way that compounding works. Lee imagines a loan where you need to make 9% pa from the markets for 8 years in order to repay. If you are down 10% after year 2, your required rate of return is now 14.2% pa – quite a stretch over 6 years. If you are down 10% after four years, the required return would be 22.1% pa – three times the typical stock market return. So most Assassins sold losers within 6 months, even if they hadn’t fallen by 20%. Only 17% of losing stocks were held for more than one year. By this, Lee just means that you shouldn’t set stop losses too close to your entry price, to avoid being whipsawed out. I have found personally that large stocks, which are less volatile, can be traded with a 15% stop-loss. For smaller stocks (eg. AIM), 20% feels better. I seem to recall that when I first started investing back in the 1980s, 10% stops worked quite well. So I can only assume that volatility has increased significantly since then. Of the losing investments in his dataset that were sold before losing 10%, Lee says that 59% went on to make money. They look for a quick win to get them back to breakeven. Assassins remain cold, and if anything the best investors become more risk-averse after a loss. 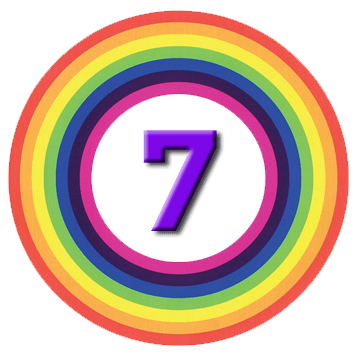 Many of the gurus we have looked at here on 7 Circles have recommend reducing your trading size – or even taking a break completely – when things are not going well. In the next section, Lee looks at why most people find it hard to cut their losses. But this is the Kahneman behavioural stuff we’ve covered several times before (disposition effect, loss aversion etc). He also quotes a study by Frazzini which confirms that investors who sell the most losers have the highest overall returns. And that’s it for Assassins – basically they sell losers. Lee’s subtitle for the following chapter is “Pursuing Losing Shares”, which sounds ominous. It seems that the Hunters double down as the price of a stock falls. This is essentially a Martingale approach – the “failsafe” system for roulette (amongst other casino games) which usually leads to ruin. Eventually you don’t have the capital to make the size of bet needed to recover your position. Lee admits that this “is frowned upon and rightly so”. See here for more detail on why you should never average down. But apparently, the Hunters know in advance that they will be buying more of the stock if the price falls. You might say then why not short the stock instead, but Lee means “if” and not “when”. Hunters would rather the stock went up from the start. So Hunters are contrarian value investors, and stockpickers. They stick to a “Would I buy this now?” rule. This is not a style that will suit everyone, including me. What marks them out is not that they still believe in their stocks when they have fallen – many investors do this – but that they actually buy significantly more. Lee points out that fund managers are sometime unable to add to losing positions since if their fund is suffering outflows, they will have no spare cash. They also suffer from peer pressure to do the same as their colleagues. This can force them to choose a strategy that has the least chance of embarrassing public failure. These are not problems that the private investor will face. Lee says that lots of Hunters had a terrible year near the start of their careers. Being a contrarian investor is dangerous because you are always going against the crowd. The Hunters became experts on interpreting charts and other methods to truly gauge the crowd’s sentiment. Just because something is cheap does not mean you should buy it. Bad contrarian investors, on the other hand, turn into Rabbits and refuse to sell their mistakes. Buy more shares when a stock is down by 20% to 33%. I can’t imagine doing this, and I think you would have to know a company very well before following this approach. I can imagine buying a stock after it has fallen significantly – perhaps when it is forming a base as explained by Weinstein in his Stage System – but even then I would be looking for evidence that the share price was beginning to recover. Buying more after a fall would be beyond me. Cut your losses is the first and best rule of investing, and to go against it, you need to be more confident than I am. Next Lee talks about the Kelly Criterion, which we have come across previously as a method for working out what your optimum bet size should be (it’s related to your probability of winning, and your returns). Lee sees it as part of a compounding strategy whereby you attempt to maximise the geometric mean of your returns. The basic rule is that you bet large when the odds are good and you have an edge. Lee recalls how Buffett invested 42% of Berkshire Hathaway into American Express back in 1974. Hunters find it easy to bet big when their stock is close to what they think will be the low, and their investment thesis remains intact. Hunters choose not to control risk by diversification but by thoroughly understanding the risk and returns of a particular stock or handful of stocks. Their goal is to find companies that have an unbelievably attractive, asymmetric payoff profile. Of course, the results will depend on the subsequent price action. Lee chooses a starting price of $100 per share in 2011. I can’t see the point of this exercise when Lee has the real data to analyse. I would expect the Assassins to outperform in the real world, but here Lee has them coming last. We’ve now reached the end of the section about what to do when your stocks are losing money. The short answer is sell them. The longer answer is either sell them, or – if you have the right temperament and you are convinced that your investment thesis remains intact – buy some more. Lee has a “decision matrix” to match this analysis, though I’m not sure it adds much. I’ll be back in few weeks with the second part of the book – what to do when you are winning.